Melody Hunter-Pillion is first and foremost someone who loves learning, and she’s come full circle in her academic and professional pursuits. She is an award-winning journalist and experienced communications leader. 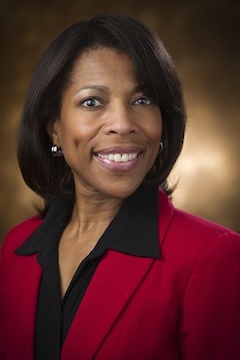 Her communications career led her from local television news, to health care media relations, and then to communications for Duke University’s Office of Undergraduate Scholars, where Melody discovered she loved working with college students. She has taught journalism as a Lecturer in NCSU’s English Department. While Melody is currently the Director of Communications for the North Carolina Office of State Human Resources (part of the Governor’s Office), she is also enrolled as a first year Ph.D. student in North Carolina State University’s Public History program. She will combine her intellectual curiosity and passion for history and creating narratives, with her experience in mass communications, as a public historian. Melody is particularly interested in stories that have been “silenced” through power structures. She is motivated not only to uncover those stories, but also to find compelling ways to create narratives which give voice to those untold stories. Ultimately, Melody would like to bring those stories into broadcast venues for public audiences. Television, podcasts and web all offer limitless ways to present history in news ways to a variety of audiences. In early 2017, Melody curated the first museum exhibit to feature a local African American leader in Cary, North Carolina. Working with Page-Walker Arts & History Center Supervisor Kris Carmichael and NCSU Public History Professor Tammy Gordon, Melody used family oral history, historical documents from the State Archives of North Carolina, U.S. Census reports, Delany Family Collection in the Prezell R. Robinson Library at St. Augustine’s University, Library of Congress, and local history books to form a narrative about Rev. Dr. Meadows and Cary. Melody has developed a manuscript based on historical research about colonial Danish West Indies. She continues to be interested in that region as well as coastal North Carolina from the colonial period to Reconstruction.